Sorry for the hiccup people, but I'm back! I hope you enjoy this mandala that I drew yesterday. I'll put it on a printable box later and was thinking about putting it on a Zazzle or CafePress shirt. It's one of the first ones I've drawn that works for my son. 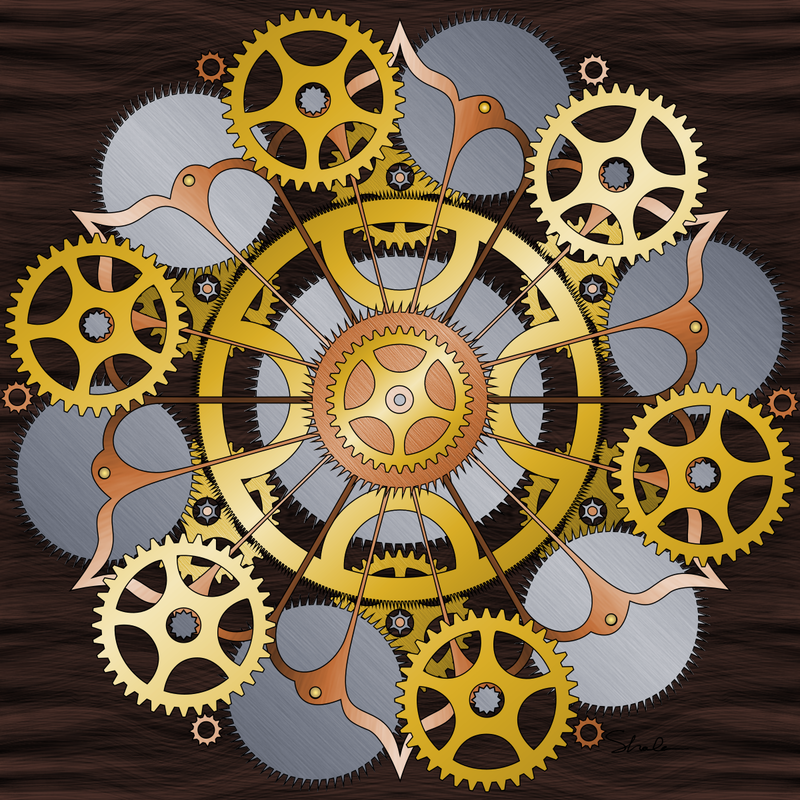 Since he's working on designing a steampunk themed game, I thought he might like a steampunk inspired clock gears and cogs mandala. He did. A shout out to Liberty, for her constant support and enthusiasm. Thank you! Comments like yours make my day. Edited to add- Just posted the design on Zazzle as a teeshirt and as stickers. Edited again- Ditsy Print Contest voting at Spoonflower! 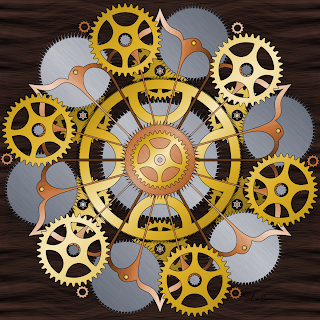 My entry is a tiny ditsy print of gears, cogs, watch hands and numbers. yay!!!! I'm so glad my comments make your day Shala! I feel the same about comments on my blogs. it really has an effect! Wow! You have the most awesome blog. I'm so glad I went mooching for steam punk colouring pages today. I've grabbed your gears image to make a collaborative quilt project with my partner using Inktense pencils. I've given you a shout out here: https://www.threadbias.com/projects/gears-table-topper and I will do the same when I write my blog.